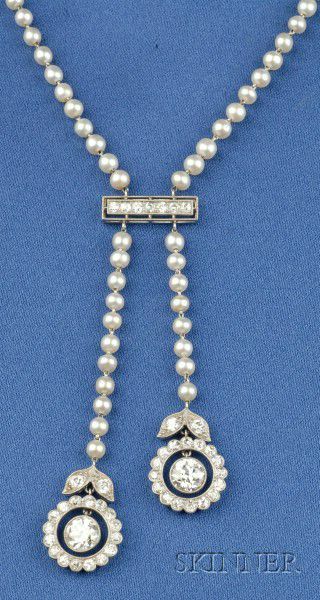 Art Deco Platinum, Diamond and Pearl Negligee, the old European-cut floral drops suspended from a diamond bar joined by seed pearl rope strung on platinum links, approx. total wt. 2.76 cts., millegrain accents, completed by a 14kt white gold clasp, lg. 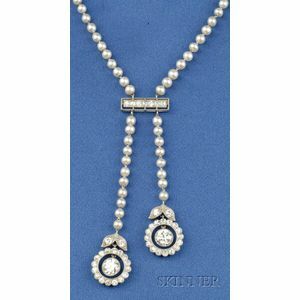 2 1/2 and 19 in., (pearls not tested for origin).